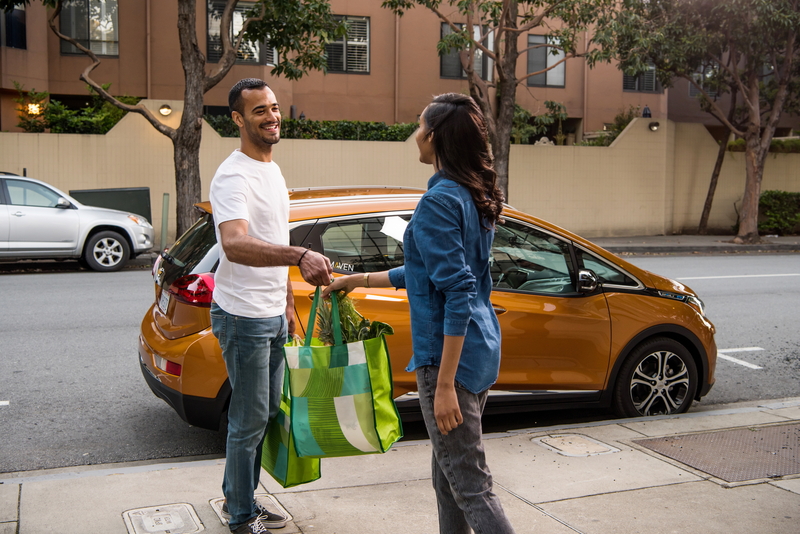 Maven, GM’s dedicated mobility wing, is launching Maven Gig on Wednesday, giving occasional gig economy workers a way to easily gain access to a vehicle for short stints to do things like deliver groceries and food on demand, and provide ride sharing services. For $229 per week, inclusive of insurance, unlimited miles, free charging and regular maintenance, Maven Gig provides access to Chevrolet Bolt EVs initially, so you can be a freelancer when you need or want to, and easily return the car when you don’t. Gig is a new offering within Maven’s lineup alongside Maven City and also Maven’s Express Drive program for Lyft drivers, or its partnership with Uber, both of which will continue to exist alongside Gig. But for anyone looking for more flexibility and range in the kind of on-demand service work they provide, Gig is intended to offer exactly that. Maven Gig is launching forest in San Diego, where it’s live as of right now, and then it’s going to be rolling out to San Francisco and Los Angeles after that. Bhattacharya told me that these locations made the most sense for a debut because of a combination of driver earning potential (these markets see disproportionately high use of on-demand delivery and reshaping services), and because of the existing charging infrastructure present in those cities thanks to partner EVgo, which is providing the free charging locations for use with Maven Gig’s fleet of Bolts. This has the benefit of stimulating the development of additional EV charging infrastructure, which is big for helping drivers feel comfortable purchasing and using electric cars, and on the other side, it removes some of the risk for companies like EVgo hoping to build a business out of creating a charging network. Maven has thus far deployed over 100 Bolt EVs across carsharing services in California, which is a significant boon for EVgo charging demand. That infrastructure, and the use of Bolt EVs in fleet deployments, seems like a recipe that could eventually become a fully fledged autonomous vehicle network, which is something GM has suggested Maven will help with in the past. Bhattacharya said she couldn’t comment on their specific autonomous plans, but that the Maven Gig program does offer a “lot of nice learning opportunities and synergies” in that area. Meanwhile, Maven Gig is another expansion of what Maven can offer users today, and it complements the company’s existing ZipCar-like hourly rental model in interesting ways, Bhattacharya told me. While Maven is helping GM figure out alternatives in the vehicle market to individual ownership, it could also help the on-demand economy with its driver supply side, unlocking an available resource pool that has all the ingredients to be participate in gig economy services, but without cars since they’re largely urban dwellers. 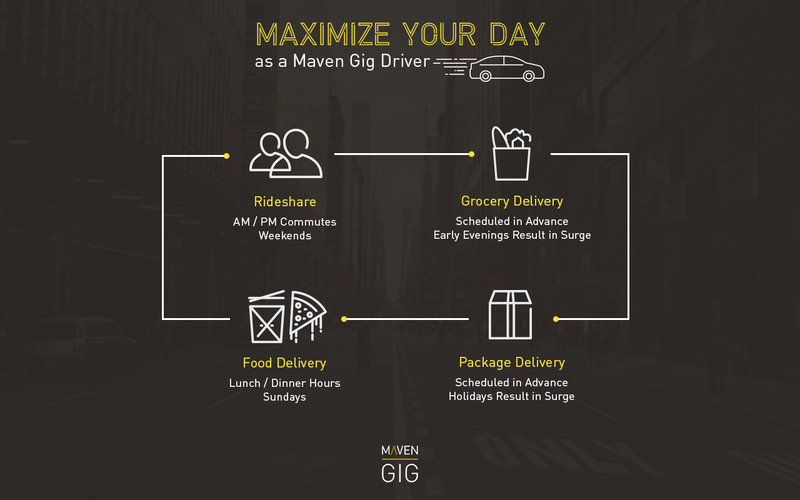 Maven Gig’s official partners include GrubHub, Instacart, Roadie, Uber and Lyft, but gig could float all boats in the space, given its openness in terms of the services Gig users choose to drive for. Maven Gig is expensive compared to a lease, of course, but it also means no long-term commitment, and also no need to worry about insurance, fuel costs, and maintenance. For city residents increasingly looking to supplement via gig economy side jobs, that sounds like an attractive recipe.